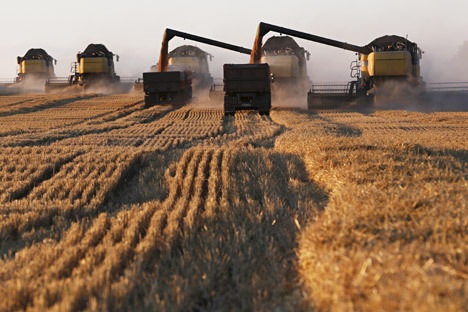 The main markets for Russian agricultural machinery are the CIS countries. India, China and Iran seen as promising markets for agricultural equipment. Russia looks to supply agricultural machinery to India, China and Iran, among other countries, Kommersant cited Russian Minister of Industry and Trade Denis Manturov as saying at the Gaidar Economic Forum on Jan. 16. At the moment the main markets for Russian agricultural machinery are the CIS countries (Moldova, Uzbekistan, Tajikistan, Kyrgyzstan). In addition, exports also go to the Czech Republic, Hungary, France, Poland, Germany and Canada. Russia plans to double exports of agricultural equipment in 2018 and quadruple exports by 2025, Manturov said. India, China, Argentina and Iran are seen as promising markets, he added.